It has been reported that Facebook has quietly stopped allowing advertisers to target people based on their response to the ‘interested in’ section of their profile. Facebook users can select ‘male’ or ‘female’ in response to Facebook’s ‘interested in’ prompt, and advertisers could previously create a campaign in relation to user’s sexual orientation. 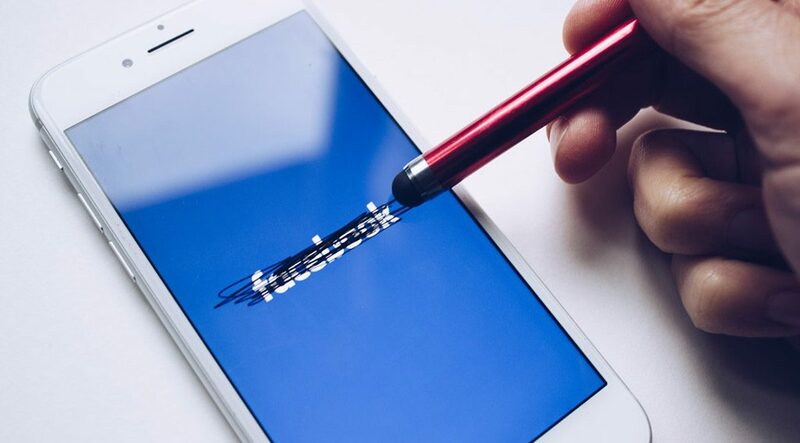 And a spokesperson for the Gay and Lesbian Alliance Against Defamation (GLADD) has applauded the move by Facebook as a way to prevent malicious behaviour targeting the LGBTQ community. Removing the ability to target Facebook users based on their sexual preferences is part of a broader move by the company to address concerns around abusive and bullying behaviour on the platform. Facebook and Cambridge Analytica – What’s the Story? Continuing our Facebook discussion, we move on to one of the hottest topics of the week – Cambridge Analytica. So who are Cambridge Analytica, what did they do and why are they currently in hot water? Cambridge Analytica did so by incentivising Facebook users to take a personality test. According to the BBC over 270,000 users took the test – on a Facebook app – which asked for permission to view the user’s profile as well as access their friend list and the pages that they had liked, in order to create a psychological and political ‘profile’ of the user. Cambridge Analytica used all of these links – such as public post and ‘likes’ – combing through the data and saving any public information. All of this information was combined to create a ‘data pool’ around the person who took the test. This data pool is very specific to the one person, but from this, it is safe to assume that their friends – especially those that had liked the same things as the test-taker – would be similar. Using the data for one person as a stand in for all of their friends is called a ‘look-a-like’ cluster – and seeing as the average Facebook user has 700 friends, the 270,000 people took the original test would create a data set of 56.7 million ‘profiles’ for Cambridge Analytica. Facebook has tight controls over what information can be used for targeting – they will allow advertisers to know if someone has a particular hobby or interest, but will not let it be known which political party the user is likely to vote for. Cambridge Analytica crossed the line in trying to do just that. Pitting your eCommerce company against Amazon is a daunting prospect, however, there are three niche companies that are doing just that. We take a look at Brandless, Boxed and Dote, to see how they are using the convenience of internet shopping to promote their own products and services. Brandless sells 250 products on their site – mainly food items – and customers can buy 1, 2 or 3 items for $3 – with shipping costing only $1 for the first order, and $5 for future purchases (or they can sign up for a membership which costs $36 per year and comes with free shipping). The company puts its low prices down to the lack of ‘brand tax’ (the markup that is added for a brand and its logo) and consumers save an average of 70% across its range of products. Brandless aims to be a cheap and transparent company that serves customers who are looking for products that are clearly labelled – i.e. organic or non-GMO – have dietary requirements or who live in a more remote area where access to these items is limited. Boxed is building its own brand through a private label, and they will reach 100 products by May. Boxed offers a simple way to bulk-buy online so that consumers save money on the unit cost. As a modern twist, Boxed has introduced a group ordering feature which means that all members of the household – whether that is flatmates or family members – can add items to the cart. Aiming for a broad target audience of those aged between 18-45, Boxed is particularly aiming for customers who are having their first child, and the company has stated that 70% of its customers are ‘consistent users’. Dote aims to become a ‘mobile mall’ that eliminates the need to download individual retailer apps. With over 130 retailers on board with Dote, their consumers can shop and purchase from each of these brands without leaving the app. The streamlined checkout is the main feature of the app, but Dote will also alert users when ‘liked’ items go on sale. Aimed at 15-25 year olds, Dote users view around 200 products per session, and visit the app 3.9 times a day – and these impressive numbers have seen retailers lining up to become part of the app. said Lauren Farleigh, co-founder and CEO of Dote. 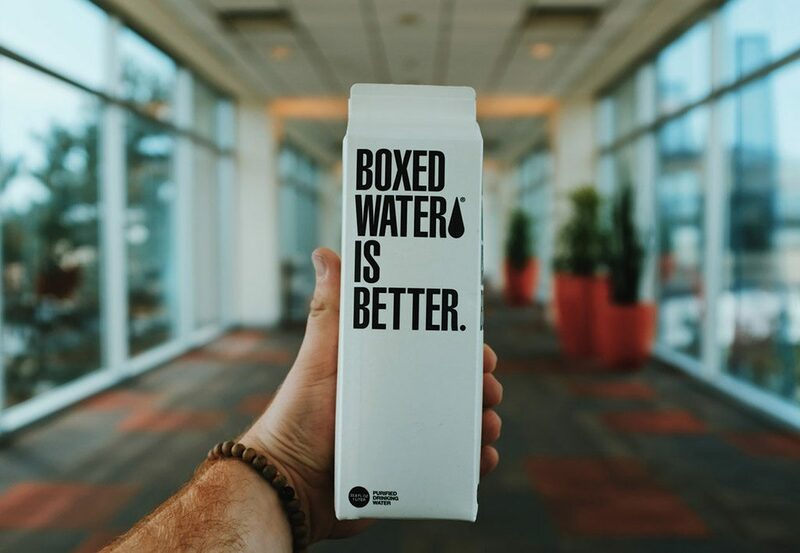 Each of these brands has rethought the idea of convenience, and what the internet can offer users to create innovative solutions that are proving to be popular with consumers. The trend of try-before-you-buy in eCommerce – where consumers order multiple items before deciding which, if any, they would like to keep and therefore pay for. ASOS, Topshop and Schuh have all introduced the scheme, which has obvious benefits for the consumer, however, how will the companies offering the scheme cope with it? Brightpearl surveyed 4,000 consumers in both the US and the UK, and 76% reported that they would either ‘definitely’ or ‘maybe’ buy more items on the try-before-you-buy scheme. The numbers show that on average, consumers tend to order three times as many items per month – however they also return the majority of them, without paying a penny. It is already commonplace for consumers to over-order when shopping online as they are aware that returning items will be free or cheap – and 51% of companies reported that the significant numbers of returns are affecting their margins. 72% also believed that the try-before-you-buy trend will only increase this effect. “could spell disaster for retail business owners if they do not prepare by having the right framework and solutions in place to manage returns. And, they’ll need to do so quickly as the trend becomes more widely adopted over the next year. The takeaway from all of this is that if you can foresee that try-before-you-buy will become expected within your sector, then begin to think about – and potentially invest in – the technology that will make it possible. According to the Harvard Business Review, the key to increasing customer loyalty is to make the customer journey as easy as possible. 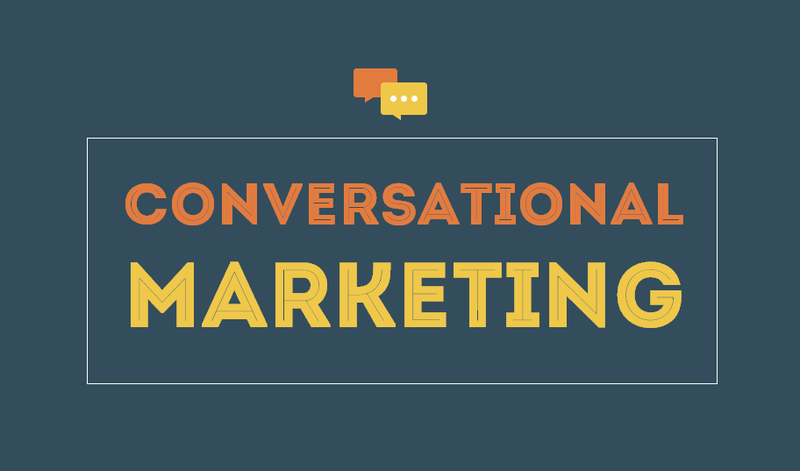 This is a complex area with many facets, however, one of the best ways to improve the ease with which customers interact with your brand is though conversational marketing. By combining technology with human expertise and warmth, it is possible to offer customers a far better service. In line with this insight, Facebook will be releasing a new customer chat plugin for businesses to use on their own websites, which will create a streamlined customer experience by using their Messenger app. iAdvize performed a survey that found that 85% of consumers want to be offered a selection of channels to communicate with a brand, and 80% thought that it was important to have personalised help when they require it – making live chat and social media important elements of conversational marketing. Messaging apps have more than 5 billions monthly active users, so it seems criminal to not take advantage of the most popular method of digital communication. This casual and friendly – not to mention convenient – method allows easy communication between businesses and consumers, exchanging messages, content or even calling one another. Chatbots can take care of the simple, routine or basic customer queries, which will free up more time for your customer service agents to deal with the more complex or challenging customers. It is estimated that 20% of customer conversations could be fully automated – and furthermore less than 30% need only be handled by a human. By using a chatbot in conjunction with agents, you will be able to provide a quicker and more comprehensive service to all customers. Rich content describes the type of content that people use to communicate with each other – which include emojis, photos and video content. Incorporating rich content in the conversations between brands and consumers will make your communications creates a more personable, friendly and human brand in the eye of the customer. The internet never sleeps – so make sure to offer a method of communication that is 24/7. 60% of online purchases happen in the evenings or on the weekends, which is exactly when the numbers of customer service agents are fewer and less available. When offering many methods of communication make sure that at least a few of them are functioning around the clock. Further to offering 24/7 customer service, it is vital that your support is always high quality. ibbü from iAdvize is an on-demand pool of experts that are paid to enhance your customer’s experience by providing savvy advice from people who know about your products. This service from iAdvize has seen a 90% customer satisfaction rate and has multiplied conversion rates 10 fold, showing the importance of quality advice.